You are here: Home / Investing / The Bull Market Turns 10 – Now What? On March 9, 2009 the market downturn fueled by the financial crisis bottomed out as measured by the S&P 500 Index. On that day the index closed at 677. As we approach the tenth anniversary of the ensuing bull market, the index closed at 2,749 on March 7, 2019. This is an increase of 406%. Looking at this another way, an investor who invested $10,000 in the Vanguard 500 Index fund (ticker VFINX) at the end of February of 2009 and held it through the end of February 2019 would have seen their investment grow to $46,135 according to data from Morningstar. 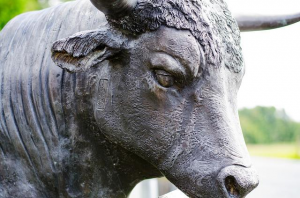 As the bull market turns 10, now what? Here are some thoughts for investors. According to data from JP Morgan Asset Management, the average bull market following a bear market lasts for about 55 months and results in a gain of about 160%. By both measures this bull market is a long one. There have been some speed bumps along the way, including 2011, a sharp decline in the third quarter of 2015 and the sharp declines we saw to start off 2016. Most notable was 2018, the first down year for the index since 2008. This was punctuated by a 13.52% decline for the fourth quarter and a 4.38% loss for the year. None of us knows what the future will hold. The bull market may be getting long of tooth. The threat of tariffs and trade wars could weigh on the market. There are factors such as potential actions by the Fed, the threat of terrorism and countless others that could impact the direction of the stock market. It seems there is always something to worry about in that regard. That all said, my suggestions for investors are pretty much the same “boring” ones that I’ve offered since I started this blog in 2009. Control the factors that you can control. Your investment costs and your asset allocation are two of the biggest factors within your control. Review and rebalance your portfolio. This is a great way to ensure that your allocation and your level of risk stay on track with your financial goals and your investment time horizon. Contribute to your 401(k) plan and make sure that your investment choices are appropriate for your time horizon and risk tolerance. If you are self-employed be sure to fund your retirement plan as well. Avoid 401(k) loans if possible and don’t ignore old 401(k) accounts when leaving a company. If you need professional financial help, get it. 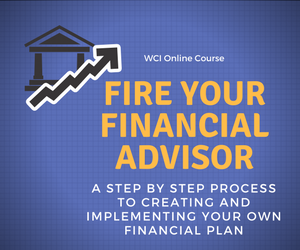 Be sure to hire a financial advisor who is a fiduciary and who will put your interests first. Review your portfolio to ensure that your allocation is in line with your risk tolerance and investing time horizon. The now ten-year old bull market has provided some very robust returns for investors. Nobody knows what will happen next. In my opinion, investors are wise to control the factors that they can, have a plan in place, follow that plan and adjust as needed. Approaching retirement and want another opinion on where you stand? Are your investments in line with your financial plan? Need help getting on track? Check out my Financial Review/Second Opinion for Individuals service for detailed advice about your situation.